If you thought Reno, Nevada, was a small Las Vegas, all about gambling and live entertainment, think again. These days it's showing a different side of its personality. 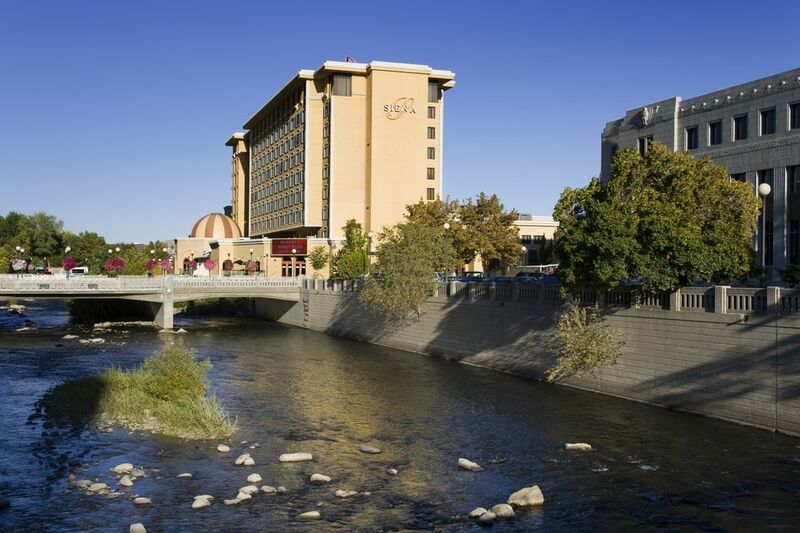 Reno began next to the Truckee River, which flows through the city, and the Riverwalk District brings this city long known for gambling back to its roots. It's an area bursting with shops, boutiques, restaurants, bars, theaters and unique events. The Wine Walk and Halloween Hollow are just two of the fun happenings that make visits to the Riverwalk District fun affairs. The Riverwalk District is centered on the officially named Raymond I. Smith Truckee River Walk, located along the south side of the Truckee River between Virginia Street and Arlington Avenue. From here, you can wander a few blocks in every direction to tour the many businesses in this loosely defined district. Go to the Riverwalk District website to find specific businesses and their locations. In another departure from its old rough image, Reno has become known as a center for the arts. The Truckee River Arts District encompasses a big swath of downtown that includes the Riverwalk District and the California Avenue shopping area. In addition to what those two areas feature, you'll find the Nevada Museum of Art, National Automobile Museum, Pioneer Center for the Performing Arts, the Lake Mansion and the Truckee River Whitewater Park. West Street Market opened its indoor stores in December 2008. Check out all the places where you can eat, drink and be merry at this lively center of restaurants and bars, shops, galleries and entertainment venues. Summer at West Street Market includes an outdoor plaza that's home to a farmers market, various vendors and educational activities. West Street Market is between First and Second streets, a block from the Truckee River. The Wine Walk, which takes place on the third Saturday of every month from 2 to 5 p.m., is a great way to get acquainted with the restaurants, shops and their proprietors in the Riverwalk District and the greater Truckee River Arts District along the Truckee River and nearby downtown streets. For a small fee, you get a commemorative wine glass, ID bracelet, and map so you can find all the participating merchants, and then you're off to sample wine at any or all of them. It just about goes without saying that you must be at least 21 to participate. You can discover which merchants are Wine Walk participants by visiting any member and picking up an official district walking map.This is a great way to have quality friend time and stroll beautiful downtown Reno. You'll find the best weather in Reno in April, May, September, and October, says U.S. News & World Report. That's also when you'll find the smallest crowds. But Reno is close to Lake Tahoe, and that means loads of summer outdoor activities and winter skiing. So whenever you go to Reno is a good time to visit. Since the Riverwalk District is downtown, you have many choices of where to stay at many price points. Some good options that are less than a half mile from the Riverwalk District are the Silver Legacy Resort and Casino, Courtyard Reno Downtown/Riverfront, Harrah's Reno, Whitney Peak Hotel, Eldorado Resort Casino and Plaza on the River at Plaza Resort Club.